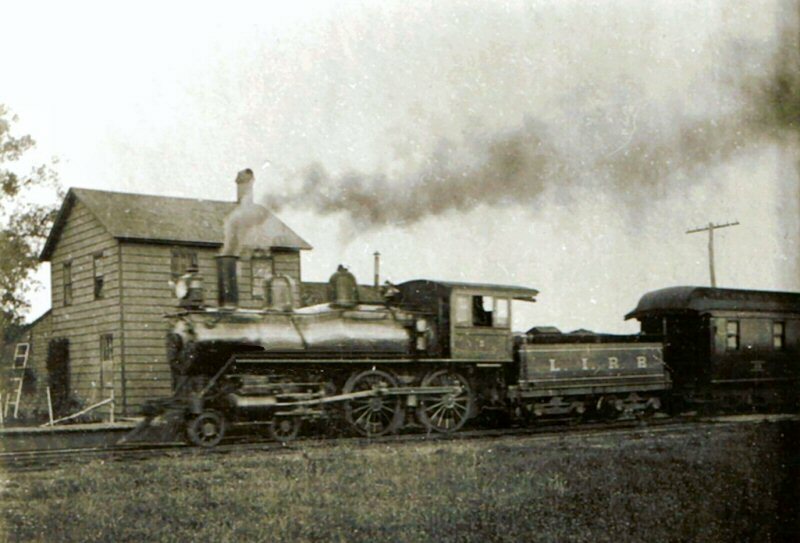 D56 (4-4-0) #2 eastbound at Medford c. 1905. What’s interesting about the shot is that the station is not yet a train order office. 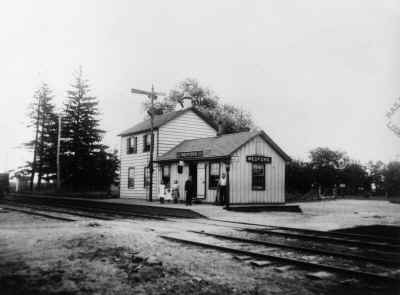 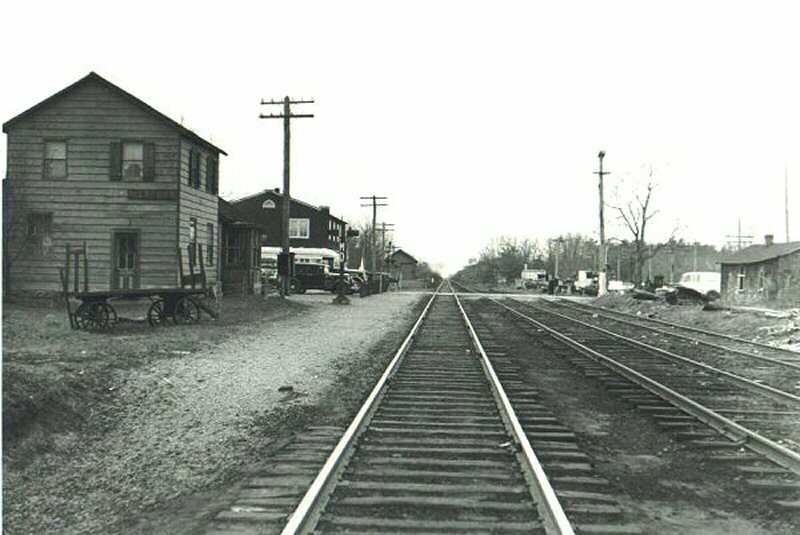 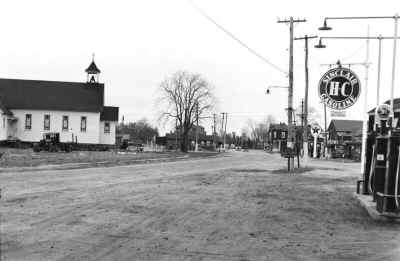 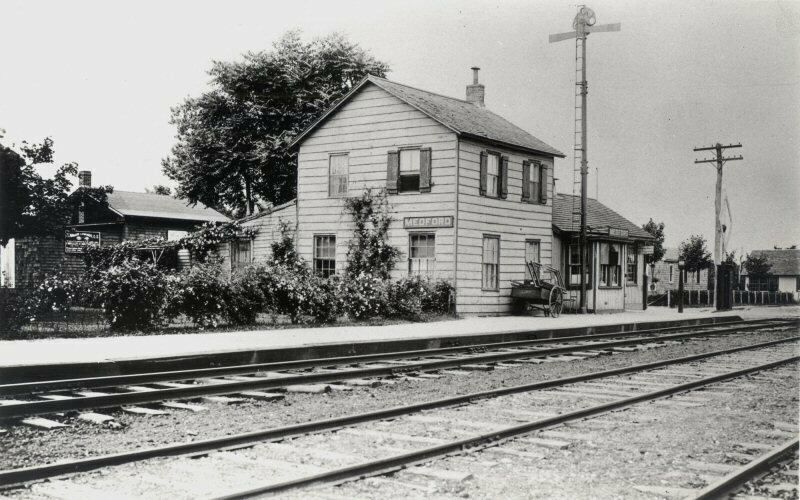 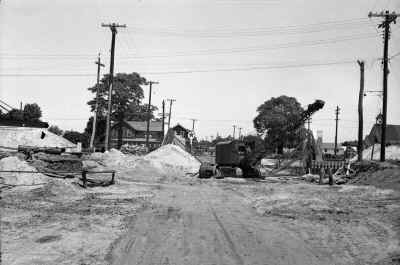 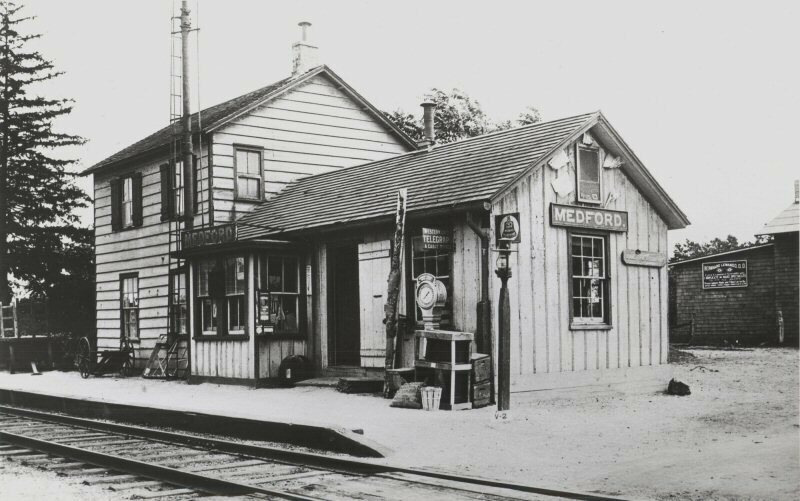 You’ll notice that the semaphore mast that appears in front of the depot in the November 20, 1907 image has not yet been erected in this view! 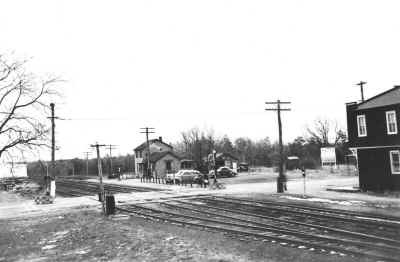 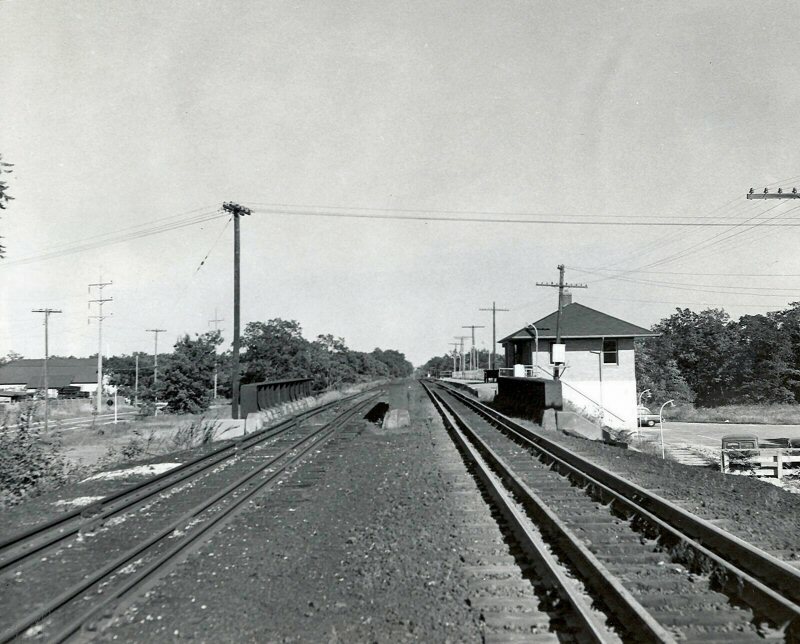 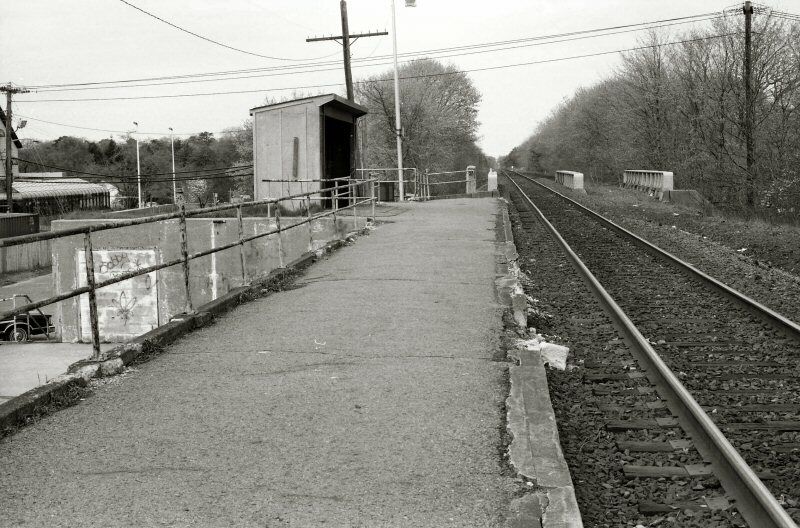 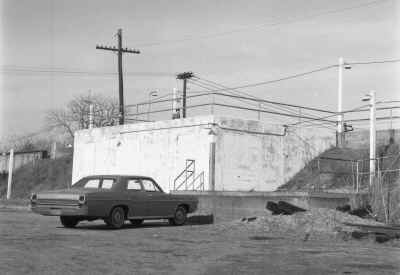 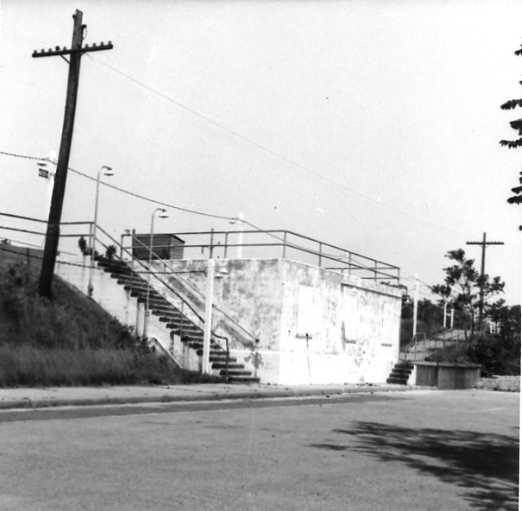 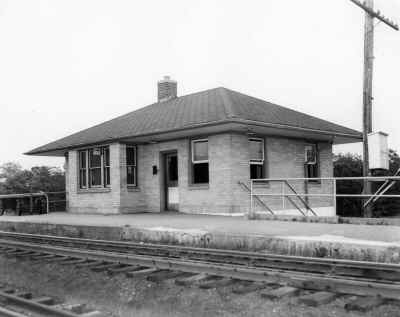 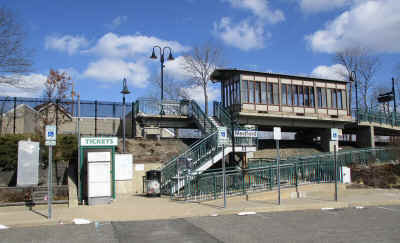 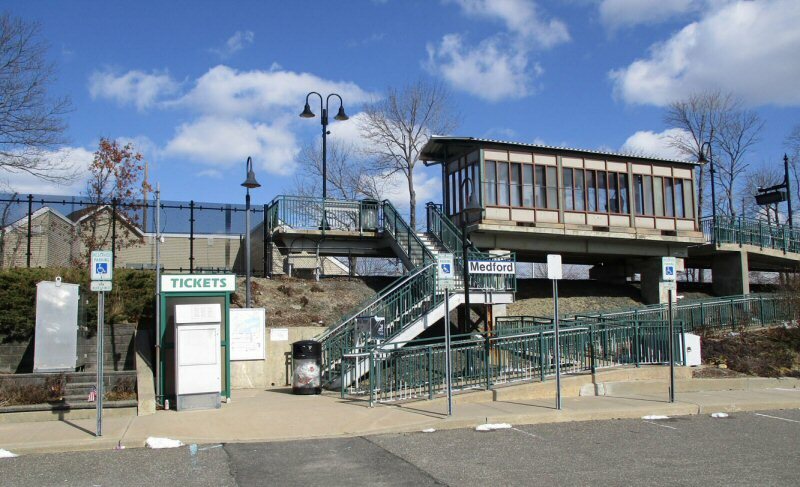 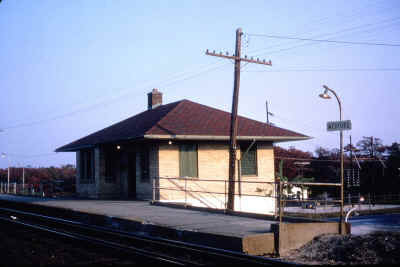 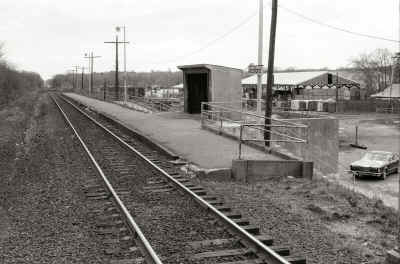 Station at Medford – Elevated view looking southeast, showing the old Dietz kerosene platform lamps still in use, the passenger siding and the team track – 1939. 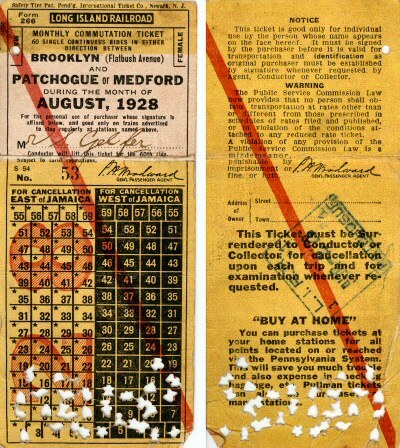 Notice that between the 1932 images and this one, the State Rt. 112 crossing has been constructed and taller flashing crossing lights installed. You’ll also notice that the side depot window has been converted into a door to access the waiting room. 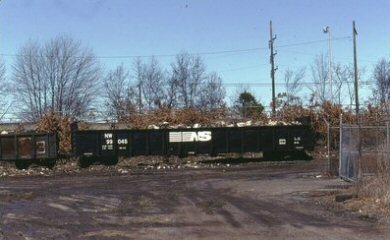 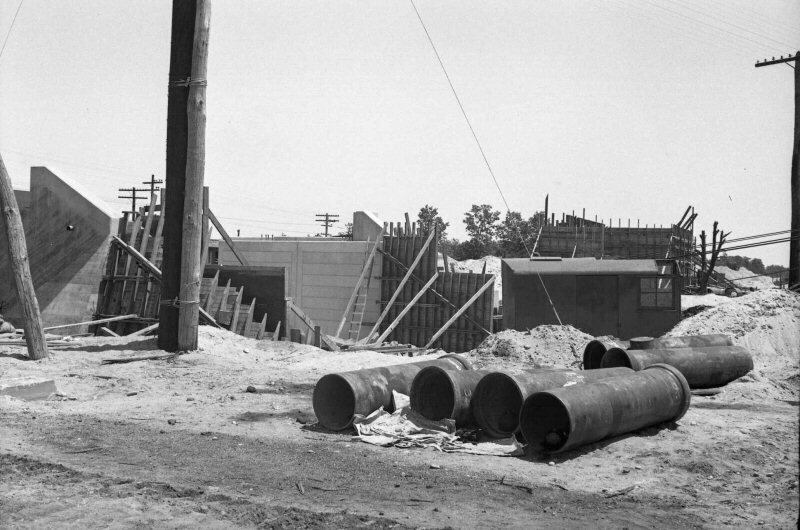 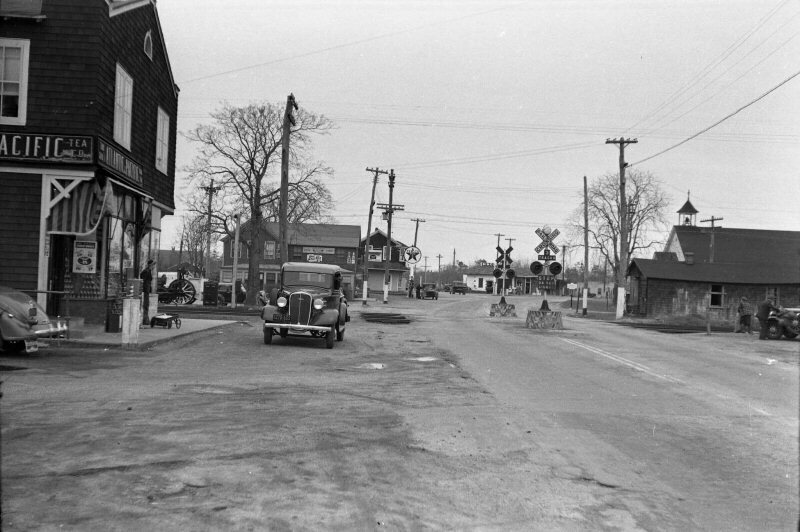 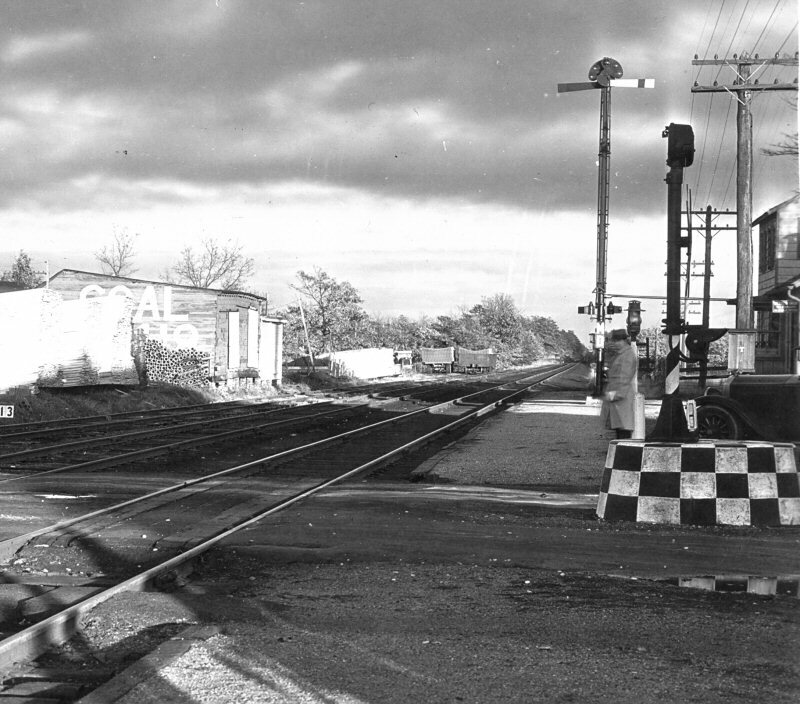 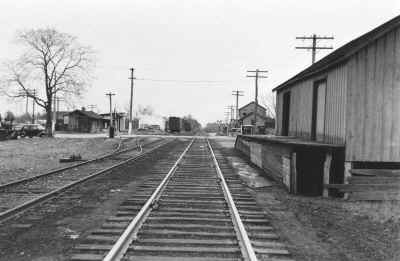 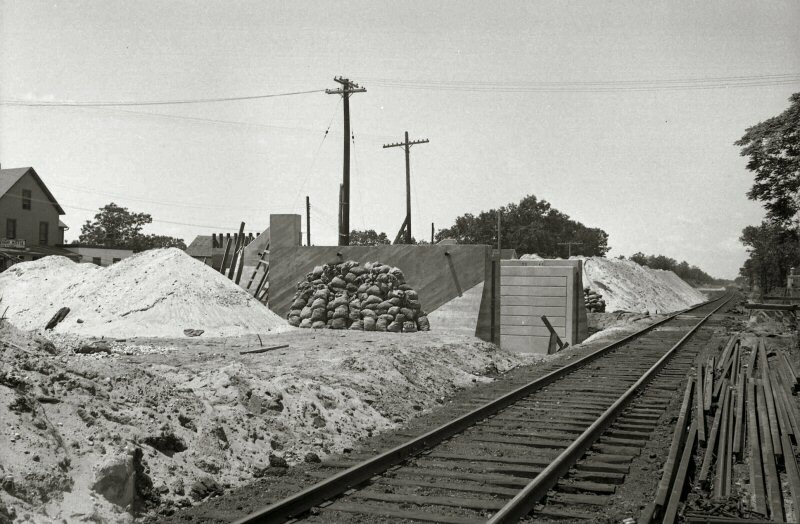 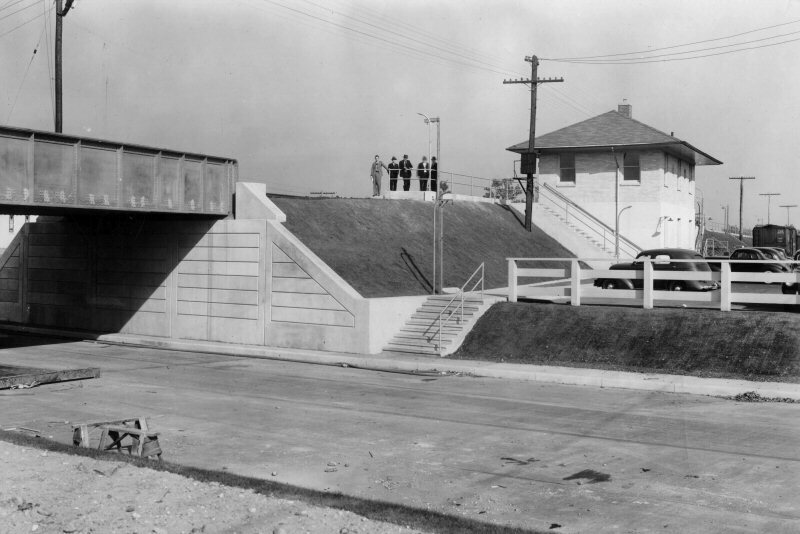 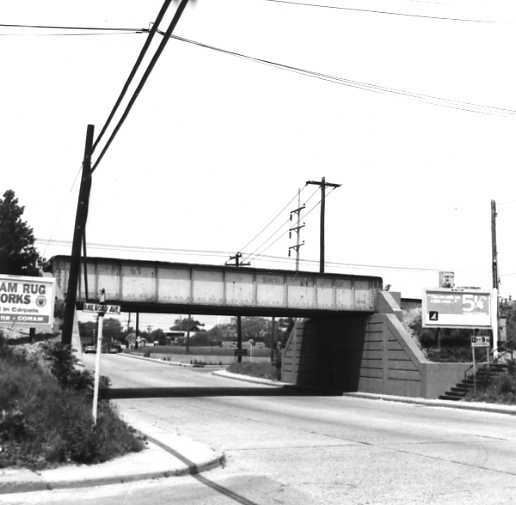 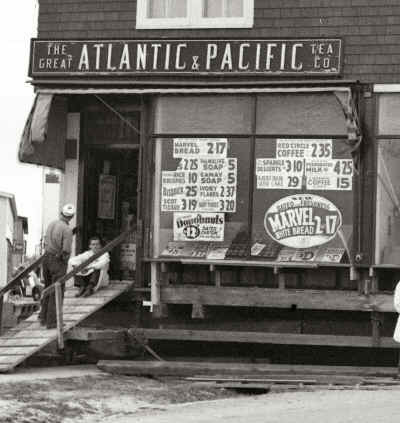 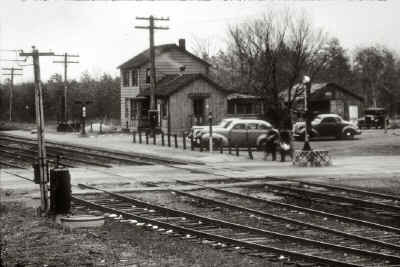 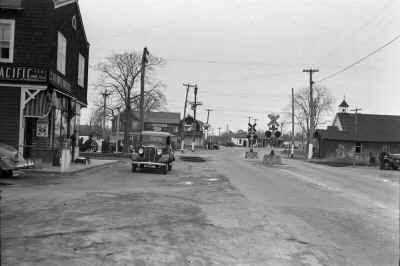 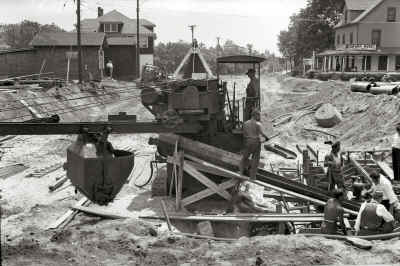 This view is a close-up of the preceding 1939 elevated scene, to provide better detail around the depot area. 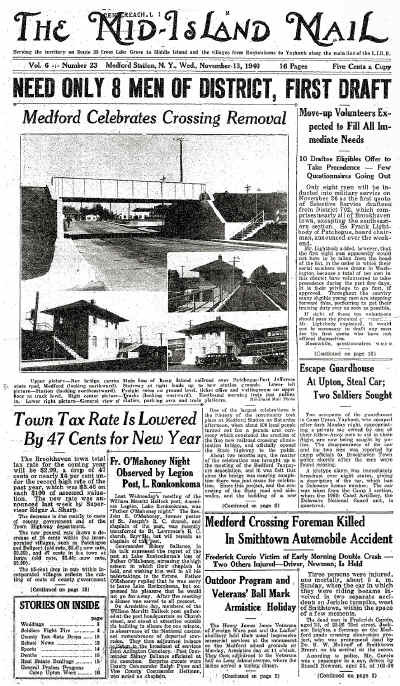 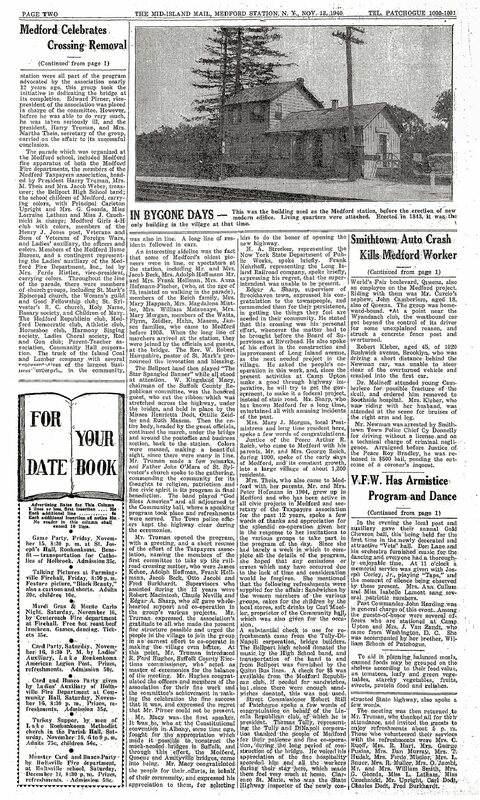 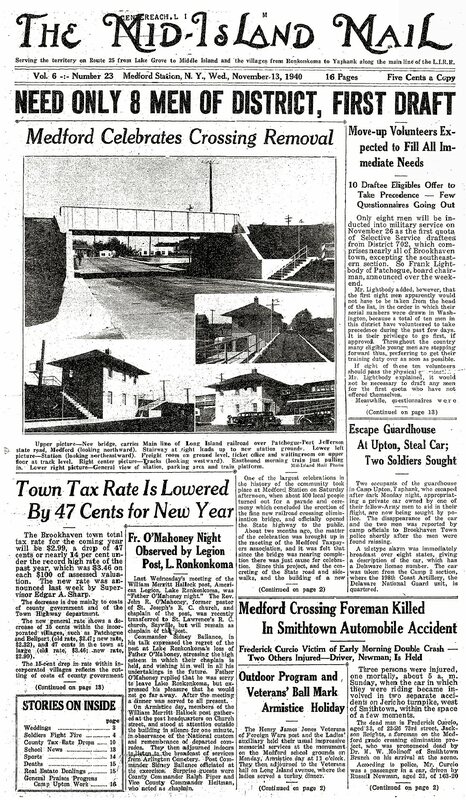 This November 13, 1940 issue of The Medford Mail, a local newspaper that hit the stands every Wednesday, describes the opening/dedication ceremony that was held the previous Saturday, November 9, 1940. 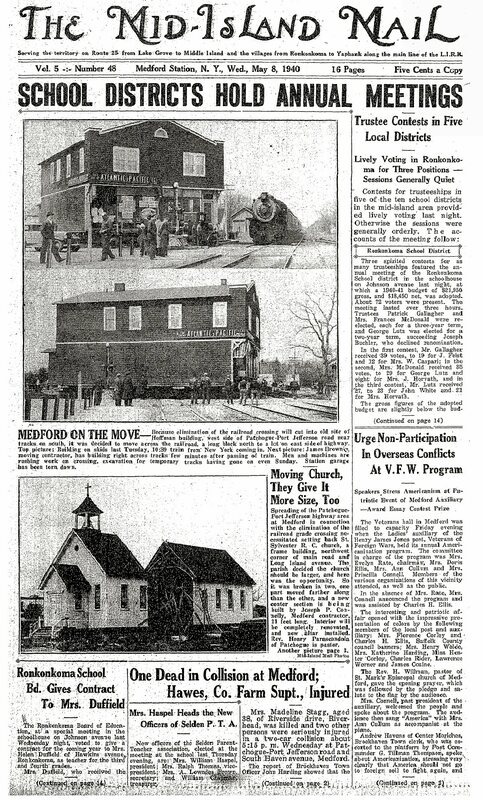 According to the newspaper article, it was well-attended! 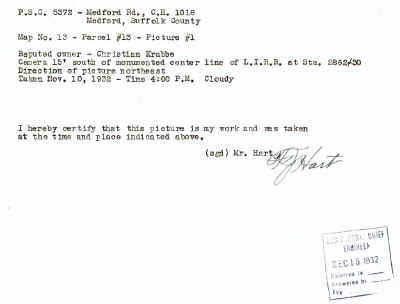 Source: Live-brary.com (Original hard copy issue from the Dave Keller archive). 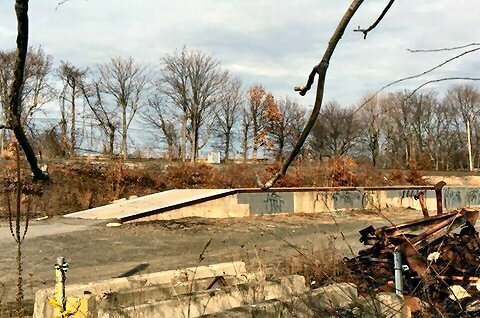 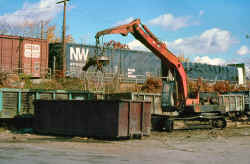 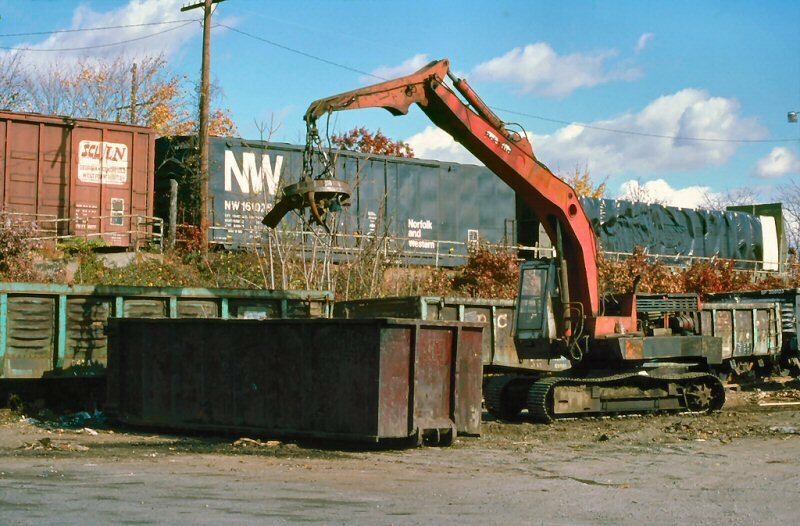 This image is a close-up of the image at the left to allow for a clearer look at the new depot. Again, it's from March 31, 1941 and the view is looking northeast. (Dave Keller archive). 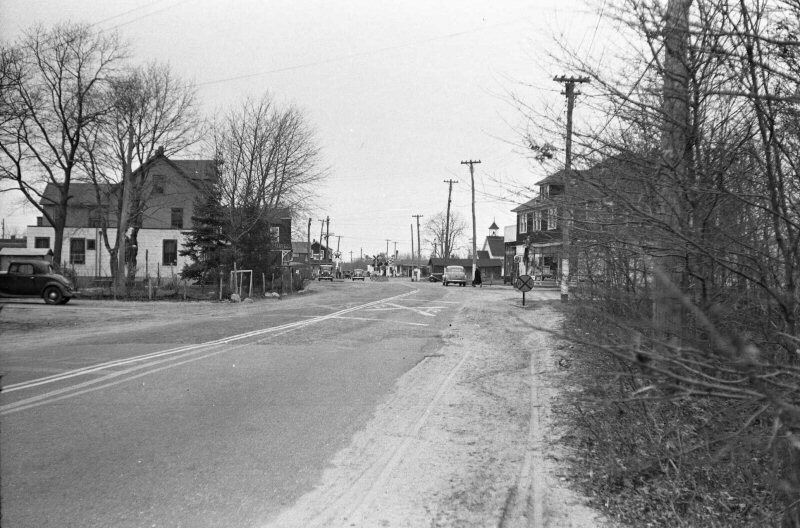 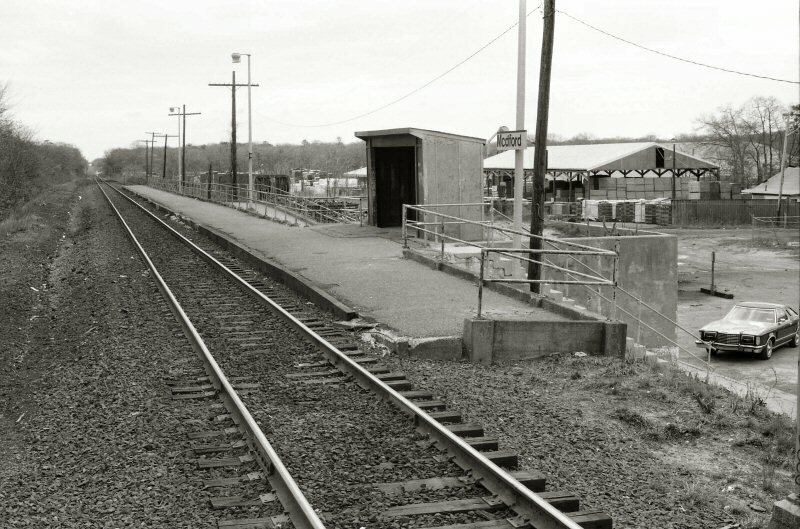 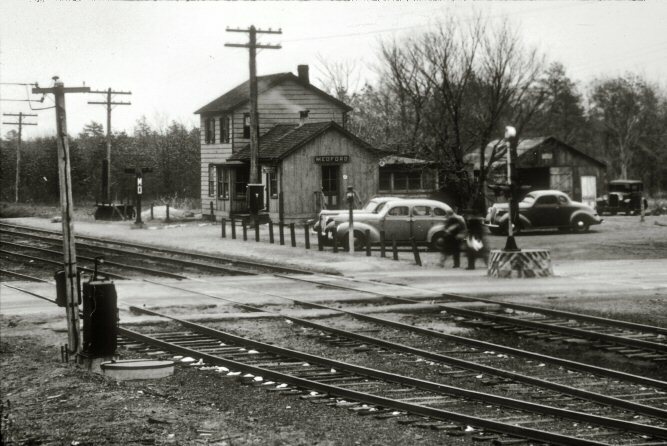 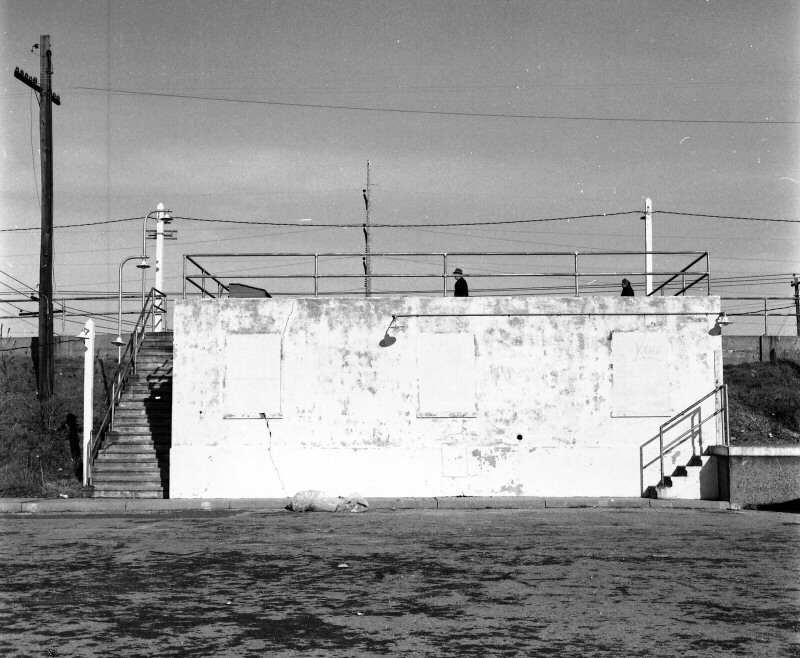 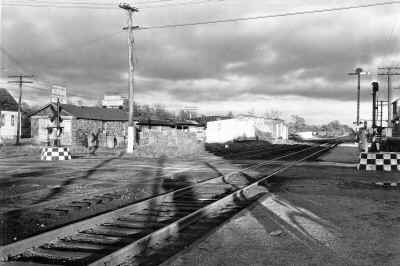 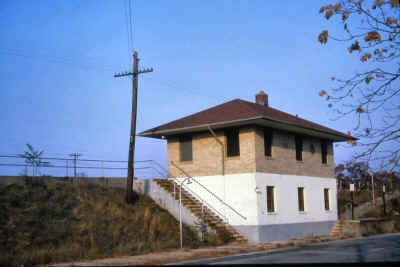 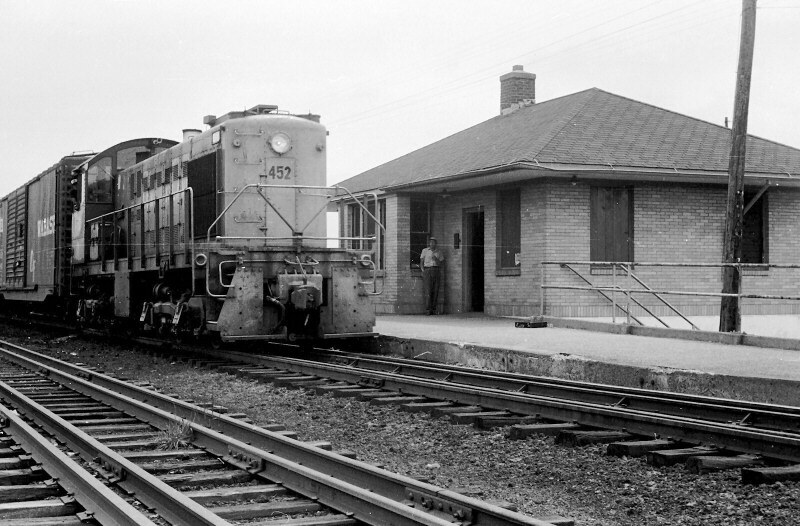 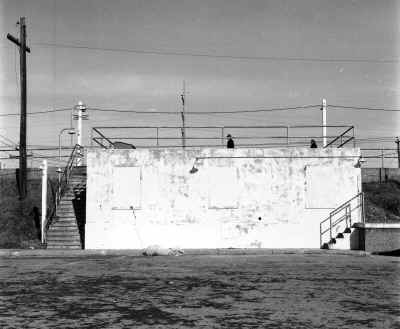 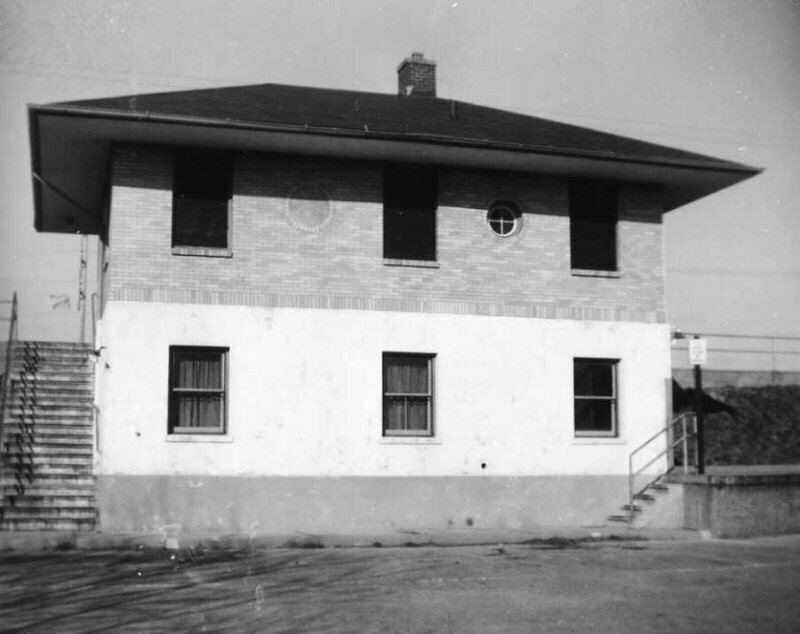 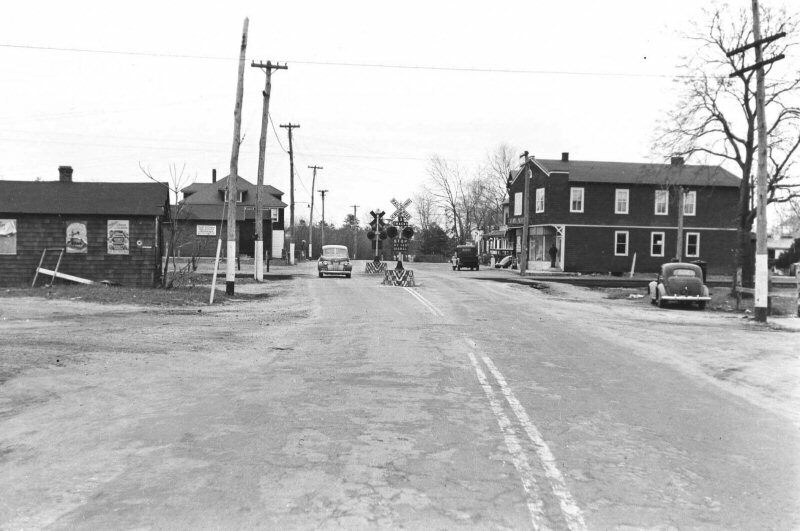 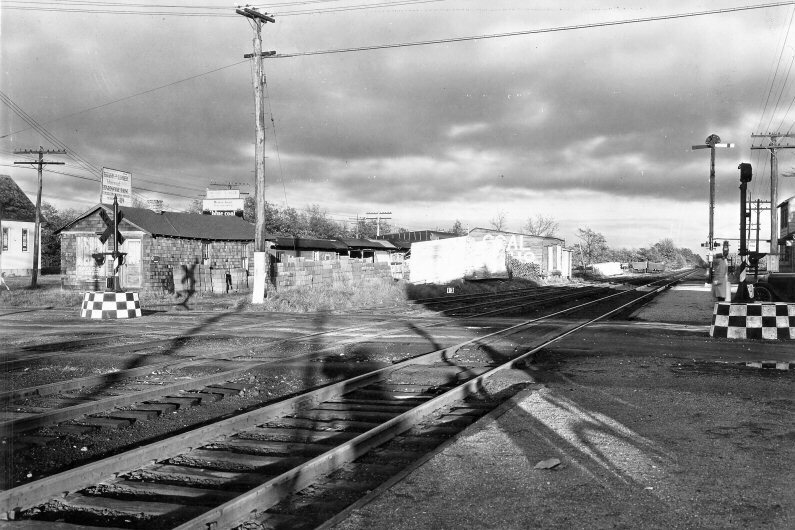 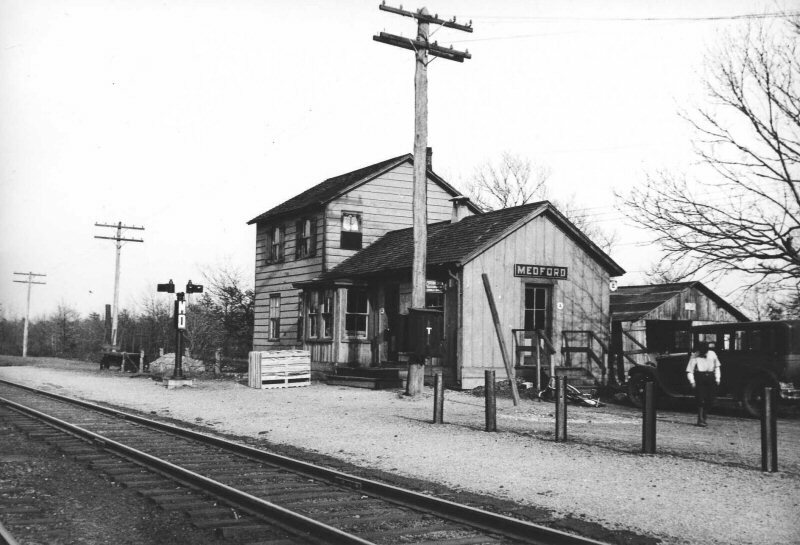 Two views taken of the 1940 depot in November, 1963. 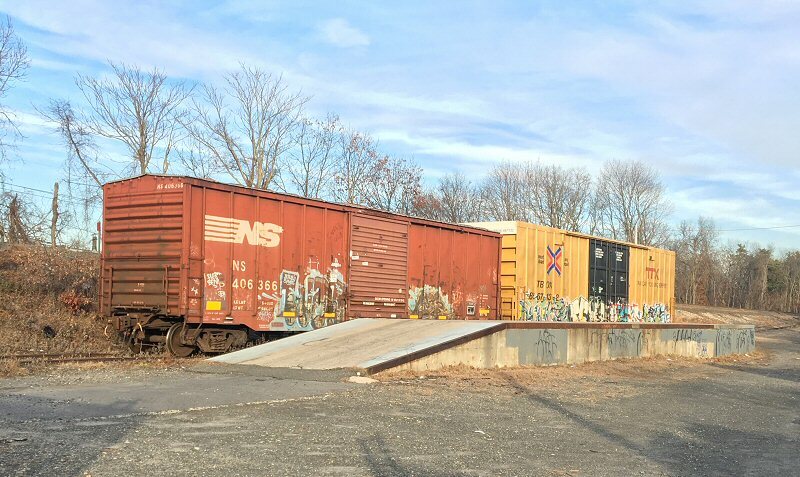 The track level ticket office/waiting room is boarded up due to heavy vandalizing but the freight office downstairs appears to possibly be still functioning. 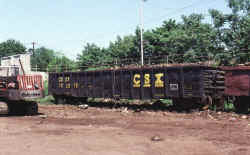 G.O. 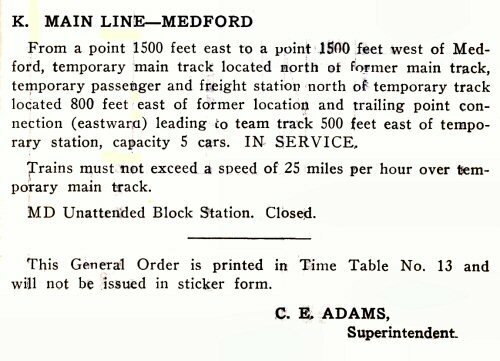 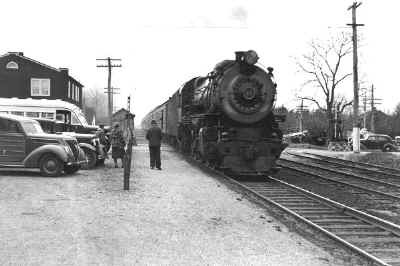 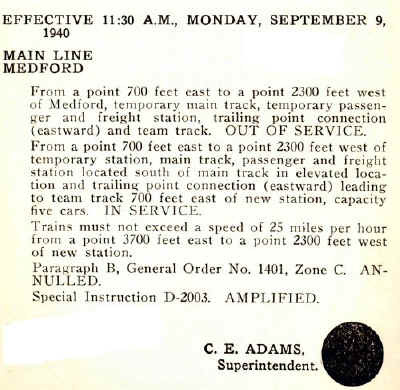 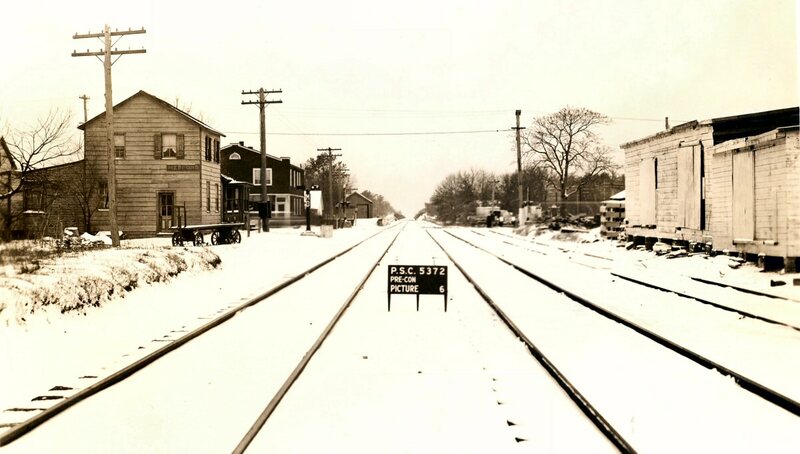 #1223 June 7, 1940 This general order places the original Medford passenger and freight stations, “MD” block station and siding out of service, and states that a temporary track has been placed in service, in preparation for the start of the grade elimination project. G.O. 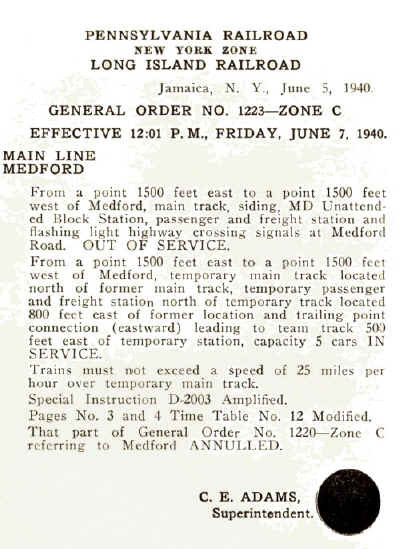 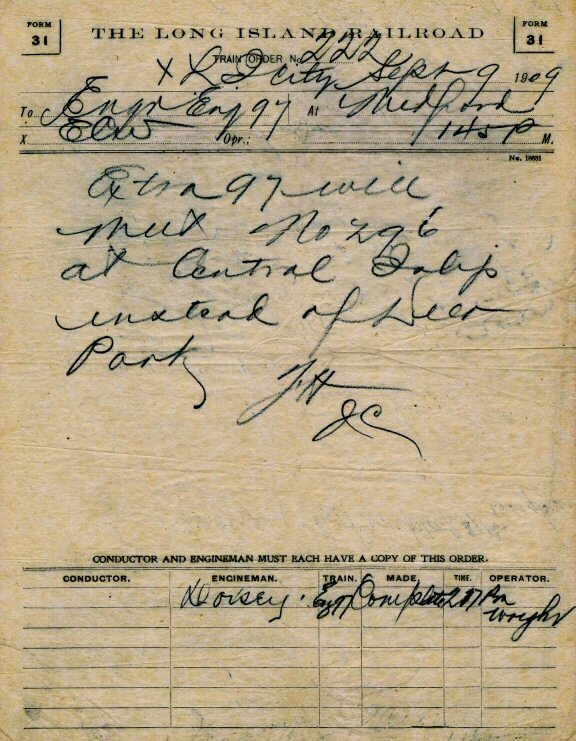 #1301 June 7, 1940 This general order advises that the temporary main track, north of the original main track, is now in service. 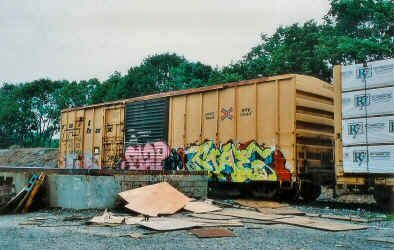 G.O. 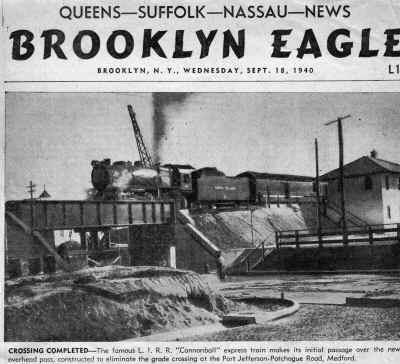 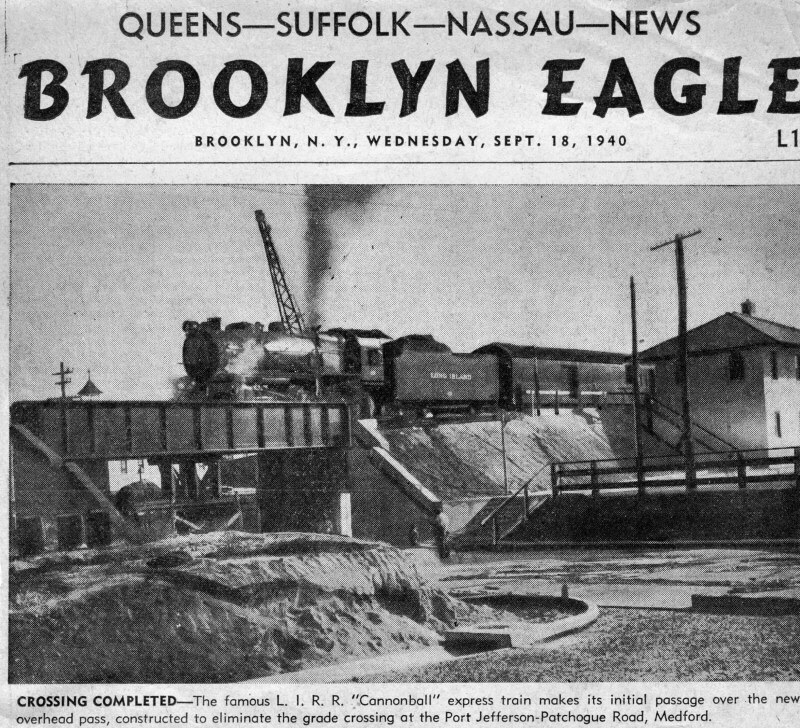 #1402 September 9, 1940 This general order places all the temporary tracks and facilities out of service and places all the new tracks and elevated facilities in service. 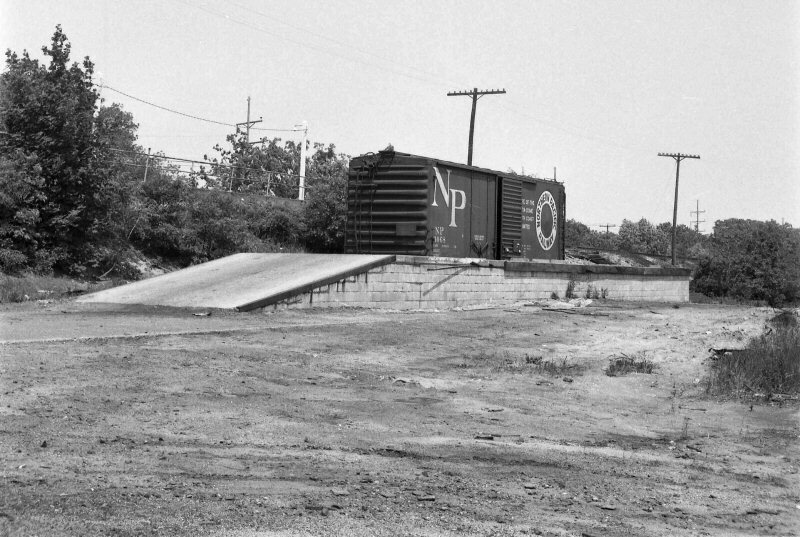 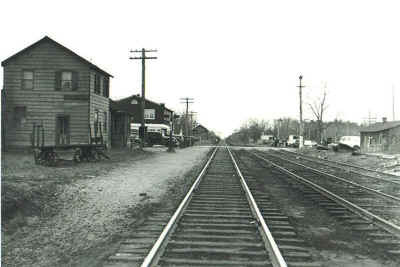 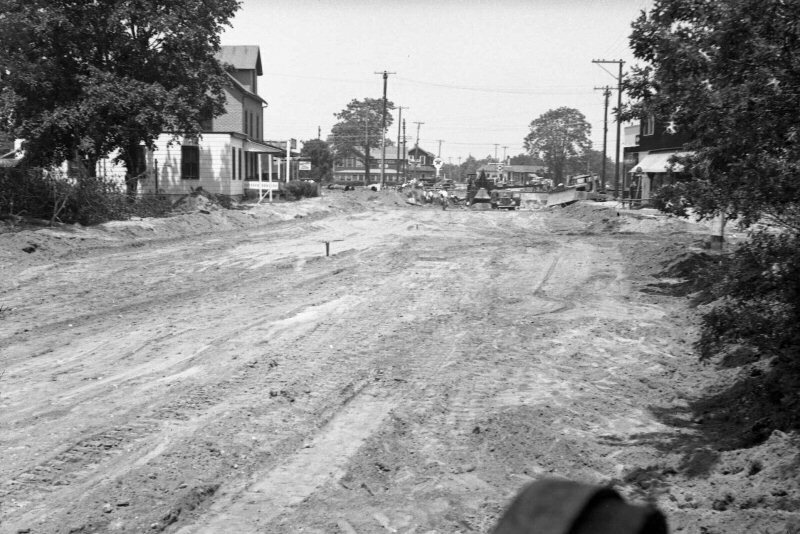 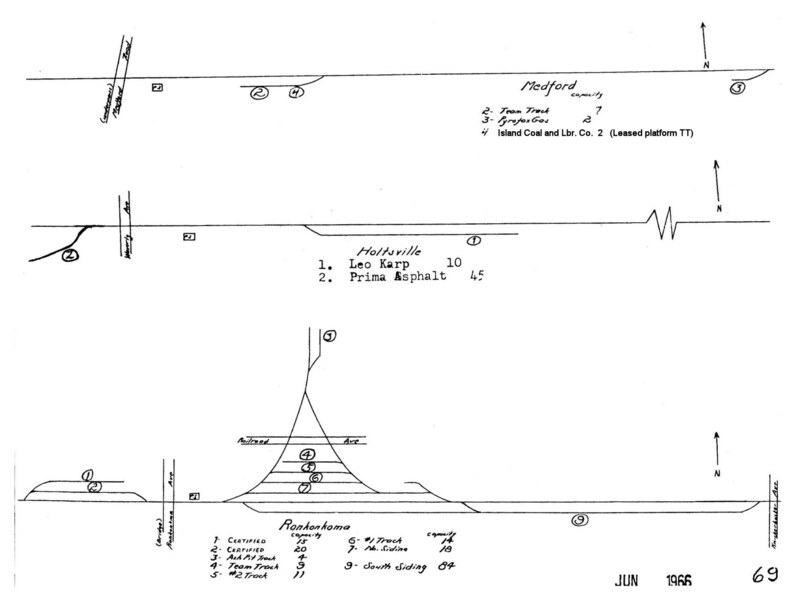 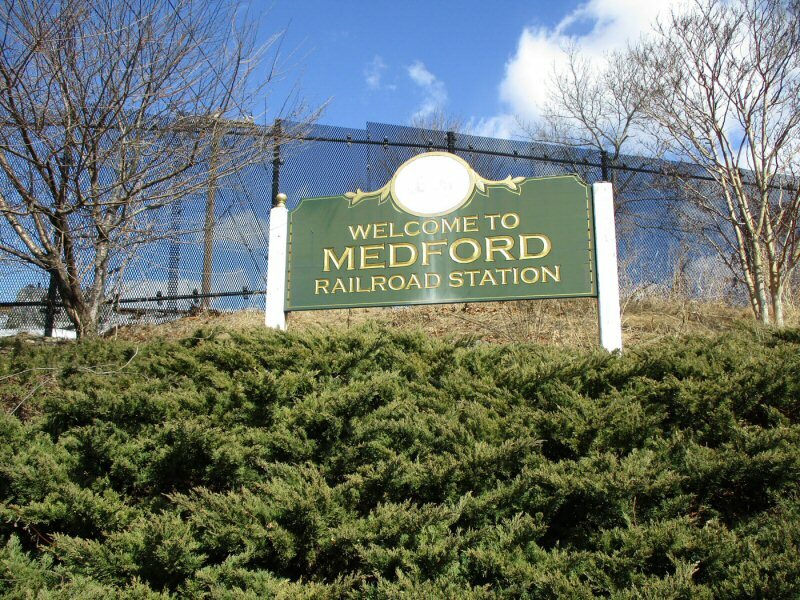 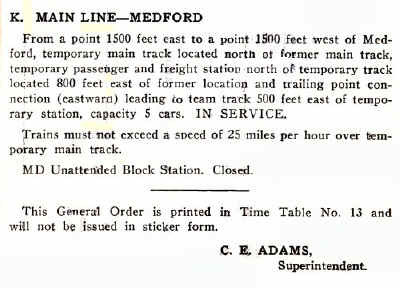 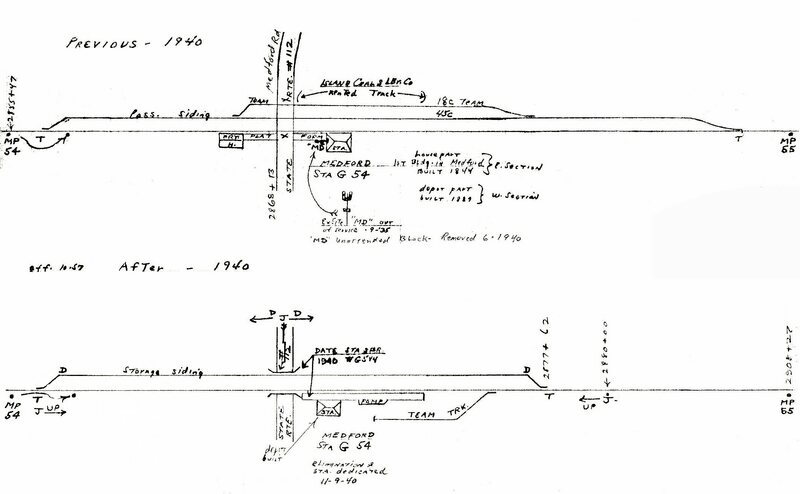 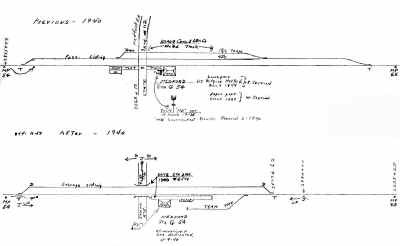 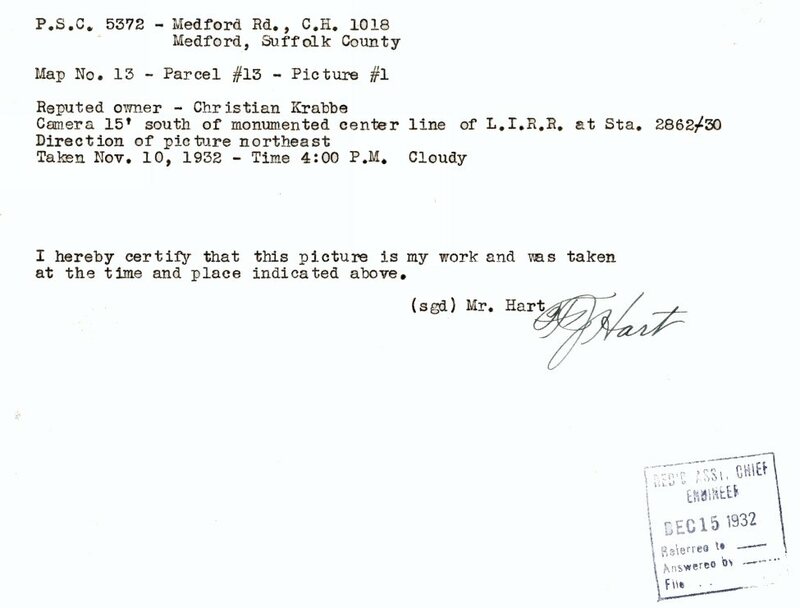 The original Medford team track, prior to the grade elimination completed in September, 1940, was north of the Main track. 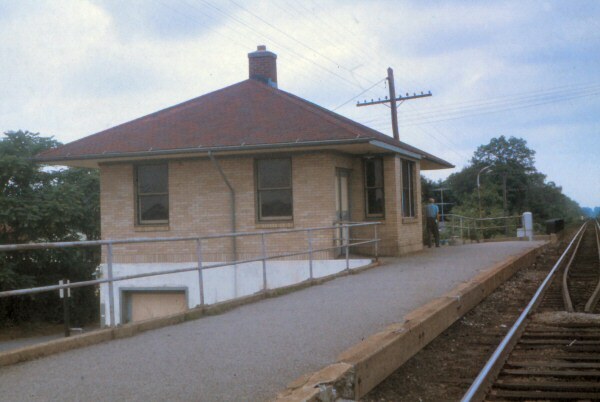 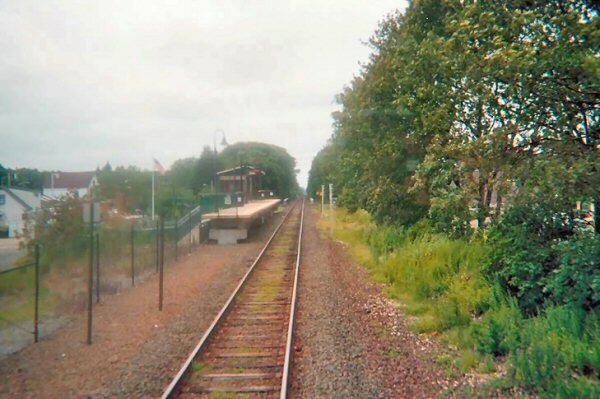 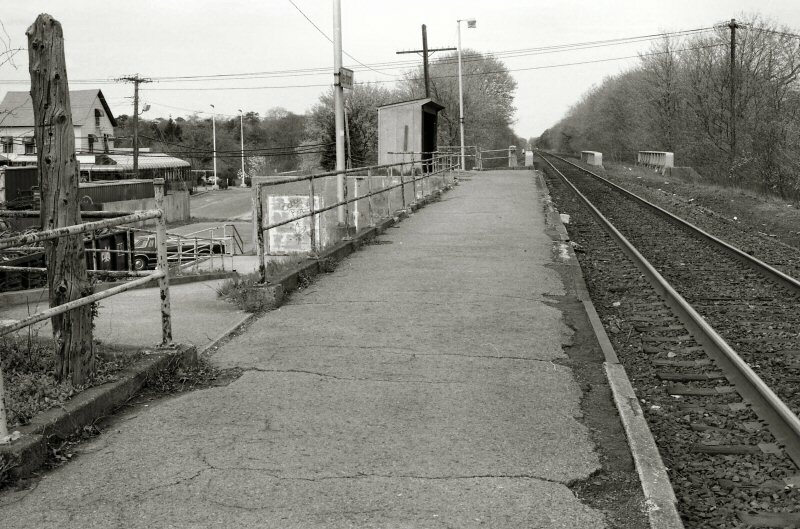 The middle track was the passing siding, which was retained and also elevated with the grade elimination but removed some years back and the track along the platform was the Main. 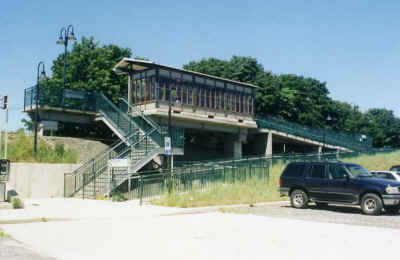 The trestle installed over Rt. 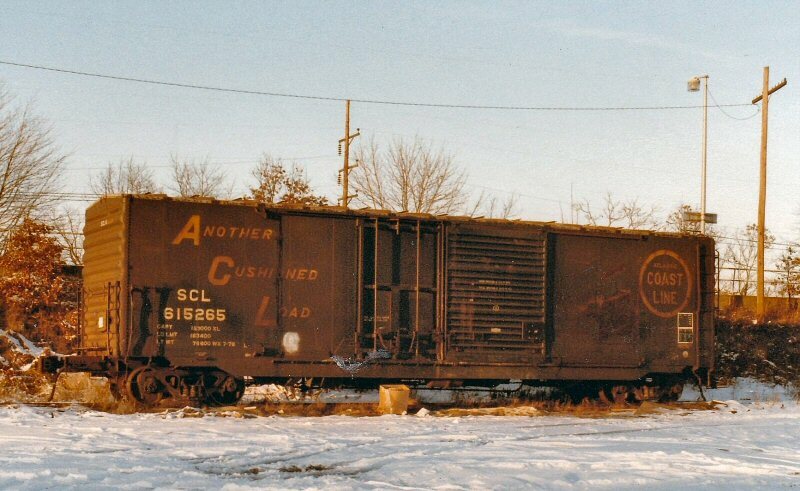 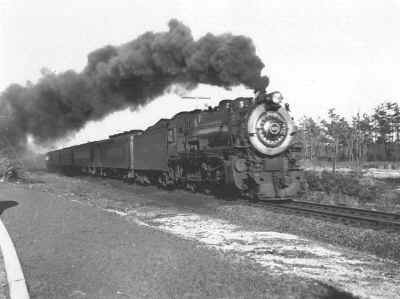 112 was a two track girder trestle, carrying both the Main track and the passing siding. 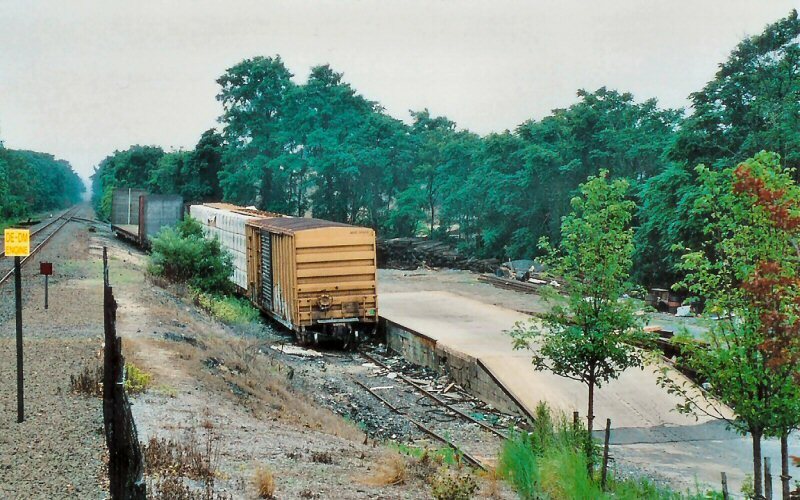 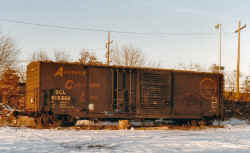 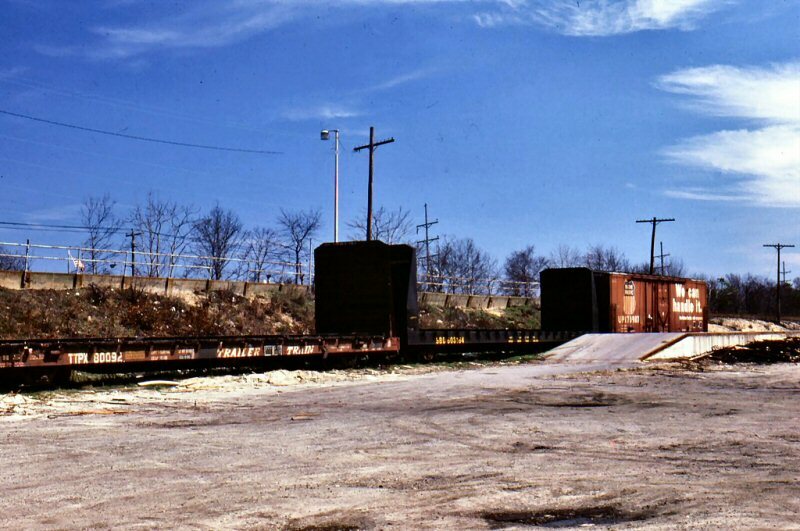 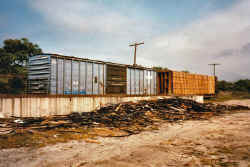 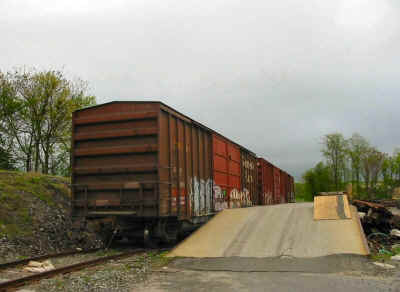 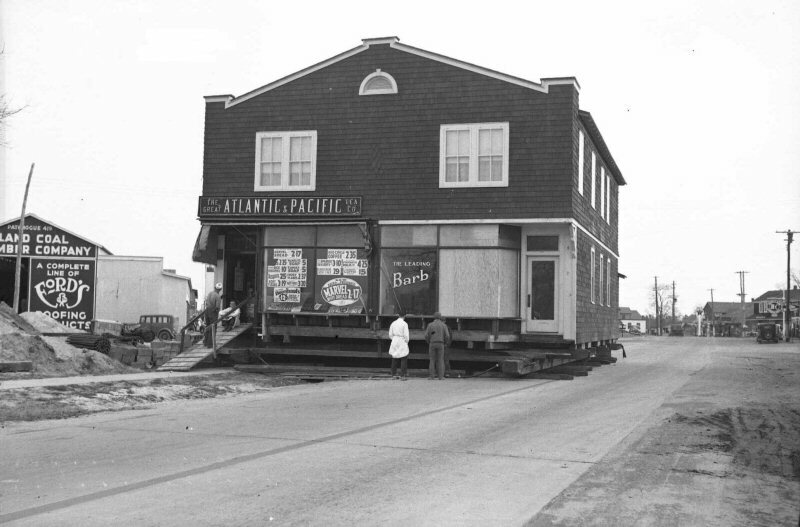 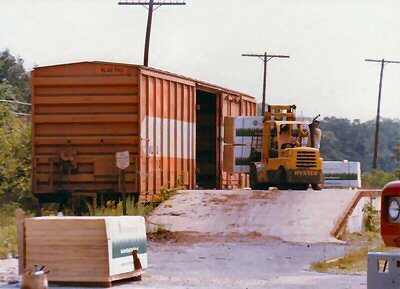 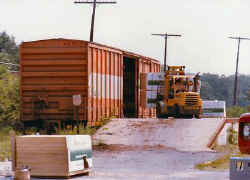 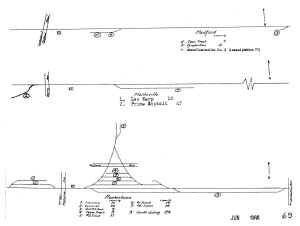 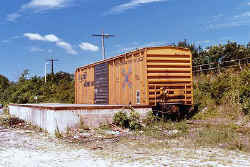 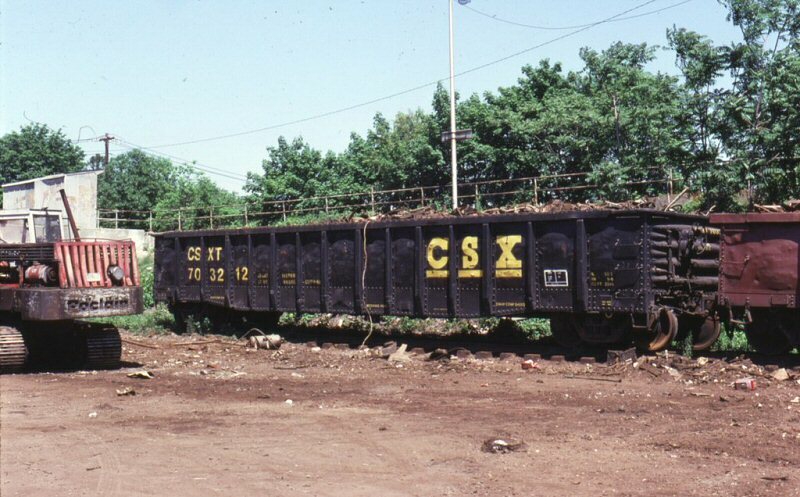 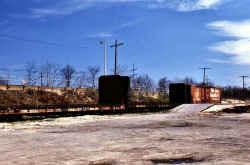 To keep the team track on the north side of the tracks was prohibitive as it would have been separated from the freight office by the embankment and thereby carloads spotted there along with people off-loading merchandise wouldn’t have been able to have been conveniently or adequately supervised so it was placed along the south side of the embankment, just a short distance from the “new” freight/express office.